Everyone wants the best price for their car when they are trying to sell any vehicle. However, there are a lot of details that go into a car evaluation, some have a way bigger impact than others. 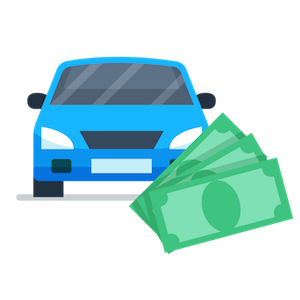 We have created this article to help you determine what is really impacting the price of your car, and what only has a little impact. Would You Rather Just Sell Your Car Now? Enter your zip code below to get your FREE estimate and see how much your damaged car is worth. You can get paid in 24-48 hours with free towing! The old way of selling a car was to post an ad in the paper, or shop around to dealerships or neighbors, and that’s for a used car. When you needed to sell a totaled car, or had an old junk car to sell, you would look through the yellow pages for any auto salvage yard near you. These days there’s a better way, in fact you can sell your non-running car without leaving your house! Plus, having the ability to instantly compare many local junkyard offers at once means you get the best price for your junk car. Here’s how that works. The first thing you probably want to know when selling an old or non-running car is how much that car is worth. Each car is driven differently, and every car owner takes care of their car in a different way. Some drivers keep up with maintenance at all the scheduled times, some let that oil change sit on the to do list for a bit longer than recommended. Not to mention the location of the car can have an affect on how well it runs. Locations that get very cold, or areas that get very hot can most definitely have an impact on the life of vehicles. Ever have your engine overheat on one of those 110 degree days? Not fun. As you can see, there are going to be a lot of different factors that go into calculating the price of your car, so what exactly goes into it? What’s the make, model, year, and mileage? Do you have a free and clear title? Does your vehicle have a clear history report? Has an insurance claim ever been filed on this vehicle? Are complete service records available? Are 2 sets of keys available? Has this car ever been used as a rental car? Many of these are relevant to the damaged car evaluation process as well, so during their calculation they tend to be reasonably accurate for a used car. However, when it comes to totaled vehicles and older scrap cars, the pricing structure changes. Any car accident has subtle effects on the car, so getting the evaluation process right is important to getting the best price for your car. Once you have a used car price, the extent of the damage to the car plays a key role here. So any damage to the car will detract from the value to the car, primarily because when you have damage typically you need to repair the car before it’s driveable. Without a car being driveable, you just have a big piece of metal taking up space somewhere, and even that can cost money (storage fees anybody?). In the case where a car isn’t worth repairing at all, if there are any useable parts that can be sold then you sell those, and then use the body for scrap metal. Repair costs are why something like a blown engine car may sell for less than a simple fender bender accident car. The cost to repair or replace an engine is very high, and on most makes / models of cars runs into the thousands of dollars. For instance, dropping a new engine into a 2012 Toyota Corolla could cost around $2,700, depending on your area and mechanic. Replacing a bumper on the same car is around $1,000. Now if you have both of these problems combined, as well as other repair costs after an accident, you can easily see the repair costs eating up the value of the car. Currently a used 2012 Toyota Corollas can sell for between $5,000 and $10,000, so if you take $3,700 off the top just for two repairs, you can imagine after an accident there are many more small things to fix and adjust. Here are some common repairs with a range of repair costs. Now, these ranges can be wide, since a Toyota’s overall repair costs are much less than a Mercedes, for instance. When the car costs more to repair than the value of a used version of the car, that’s called a totaled car, a total loss car, or salvage car. In many used cars, this isn’t that uncommon, and in any accident at all the value is greatly diminished. This is one of the biggest factors that affects the price of a damaged car, though there are other common sense ones as well. A lemon car is one that was returned to the manufacturer after it’s been proven to be overly defective. This is part of a law system so car dealers can’t peddle cheap, low quality cars and get away with it. The laws and requirements to be a lemon are different based on which state you’re in though, but it never means anything good to have this on your title. Now this is the one that has to do with repair costs. When a car is in an accident, or has any kind of damage that costs more to repair than the fair market value, it can be given a salvage title brand. Much of the time this is done by insurance companies declaring a total loss on a car. This title indicates that a salvage title car has been rebuilt, and inspected by the state that issues titles. The inspection approves that the repairs were sufficient to drive the car on the road once again. The problem with this brand is that the car was already totaled previously, and even if the repairs were done there could be minor structural damage remaining that is hard to see. People won’t pay as much for cars with a rebuilt title either, even if you can’t externally tell the difference between a rebuilt title car and a standard used car. When a car goes completely underwater and is flooded with liquid it is given a flood damage title brand. However, if just a small amount of water is leaking in the undercarriage and damaged the car with mold and other damage it can also be given a water damage title brand, which are pretty much equivalent. Serious flood damage will ruin a car’s engine, and goes hand in hand with a Salvage Title Brand most of the time. When people see a flood damage title, they usually look elsewhere for vehicles. Some states call this ‘Not Actual Mileage’ while others call it ‘Odometer Rollback’, but they’re the same thing. If you’ve ever seen Ferris Bueller’s Day Off, you know the scene where Ferris tries to roll back the miles on Cameron’s father’s Ferrari? Well, that’s illegal and if they were successful and were caught, the car would get a Not Actual Mileage title brand. When anyone alters the reading of an odometer to show reduced miles, they’re hit with this. Your make, model, year, and mileage give you a basis to see what other similar cars sold for in your area.The details of your car will start making a big difference here. The value of a vehicle is based on many factors coming together to determine what it's worth. Each of these can have a positive or negative impact on the value. How they add up for your car will give you a better understanding of what your car is worth. The year of your car can affect its value. The newer your vehicle is, the more it will be worth in comparison to its predecessor. After the vehicle enters a new generation it's value will have a larger gap in value. For example 2016 Honda Civic is considered a tenth generation and a 2015 is considered a ninth, therefore the 2015 model could have an additional 15 to 20% reduction in value. The make of the vehicle vehicle has a significant impact on it's value. High end luxury brands like Lexus or Cadillac would worth more than their standard brand such as Toyota and Chevrolet. Look at a 2014 ES350 it is very similar in shape and size to Camry and both can come equipped with similar options but, the Lexus model will be worth up to $3000 more. The same logic could be applied when comparing the Escalade ESV to a heavy duty Chevy Suburban. Both will have the bigger engine and leather appointed interior, but the cadillac will be worth more. The model of a car can affect its value the same way it does to your smartphone. The bigger, better, faster model is going to be worth more than entry level model designed to get the job done. If you have Nissan Maxima that comes equipped standard with the V6 engine and is a full size sedan, it's going to be worth more than it's little brother the Nissan Sentra that comes with a fuel efficient 4 cylinder and just enough room to fit 4 passengers. Less is more when it comes to the vehicles miles. The lower the miles the more your car is worth. High miles mean lots of wear and tear. The motor, transmission, and suspension have been working hard to keep the car moving and could mean potential service requirements. The average driver travels about twelve to thirteen thousand miles annually. If your car is 4 years old and has more than 52,000 miles it could be worth less than the average value. Trims are used to categorize a vehicle based on the options it comes equipped with. Almost every car in the market today has at least two or more trims. They could make the car more expensive but that usually means nicer features. A Ford F150 XLT is a nice truck, it comes equipped with alloy wheels, power windows & seats, and carpet flooring. However the King Ranch F150 has all those great options but can also comes with leather seats, a sweet two tone paint job. And powered running boards. The condition of a car can can make or break the value of the car. The better the conditions the more it will be worth. Where you are selling your car adds or detracts from the car price. This is just simple supply and demand. In certain parts of the country, perhaps one type of car is more in demand or more trendy. If you’re in a rural area, there may be more demand for trucks to haul heavy equipment or supplies, so people would be more willing to pay up for trucks there. In the city, however, trucks aren’t quite as useful and perhaps luxury vehicles sell better there. With this in mind, if you have a luxury car on a farm, and try to sell it without any luck, you’d probably get a better price selling the car to someone in the city. That would involve towing the car if it’s damaged, which can be taken out of the sale price. 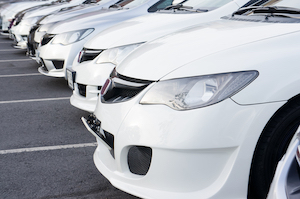 You can see how distance from any seller can determine what you get for any type of car. When dealing with damaged cars, the fact that you probably won’t be able to drive it to the sale location is what complicates things. That’s why selling a damaged car locally is almost always the best way to go. If you were to sell your car locally to a car junkyard in your area they would be able to inspect the vehicle up and down. During the selling of a totaled car online the totaled car buyer can’t do this. 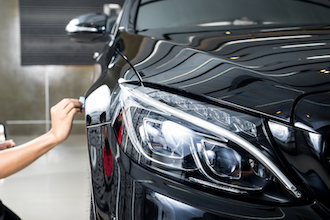 That’s why sending in detailed photos of your car in the transaction process has the potential to increase the amount of money for your car, and prevent any trouble throughout the car sale process. The trick with any kind of car damage is conveying how extensive and what kind of damage is done to the car. Photos do this perfectly, so when a car buyer sees that, they can have confidence in what they are buying and offer a truly accurate price for your vehicle. How quickly can I sell my car? If you accept your offer today, you can have a tow truck scheduled and dispatched within 24-48 hours to pick up your vehicle. Though, depending on your area, there can be extenuating circumstances such as weather that cause delays. Where can you pick my vehicle up? We service most major metro areas in the United States. You can check our areas served page for a more comprehensive look on where we buy cars. Typically, we pick up damaged or non-running vehicles at your home or office. Will I incur any costs or fees when using your service? There are no fees to our service, and towing plus title transfer are both free. There are no hidden costs, and you get the full amount of your offer at the time of pick up. Do I need a title to sell my vehicle? Yes, we do not buy any cars without a title signed by the registered vehicle owner. If you have a lien on your car’s title we can still work with you to buy your car. We buy most types of cars, ranging from older broken down junkers to luxury sports cars with blown engines. The common theme is damage on the car. We buy cars with any kind of damage including impact damage, electrical, or mechanical damage, and most definitely vehicles with high mileage or wear and tear from years of use. This includes cars that need expensive repairs such as blown engines, and totaled vehicles. Can I really just send my VIN to you just like that? Yes, sending a VIN is safe, and is simply a way to identify your unique car. Think of it as a factory number, or serial number. In fact, VIN stands for Vehicle Identification Number. These are used to perform a ‘background check’ of sorts on the vehicle history to ensure it’s as described. Any professional auto sale should involve a VIN check process. You can actually see some VINs on many vehicles just by walking up to the windshield, so it’s completely safe to send your VIN. If you have any more questions about the damaged car selling process feel free to call us at 1-877-877-7911. You can also get an offer for your car any time with our quick damaged car evaluation tool online. It’s free to use, so simply getting an offer for your car takes less than a couple minutes.